Scroll down to see what we have on offer? 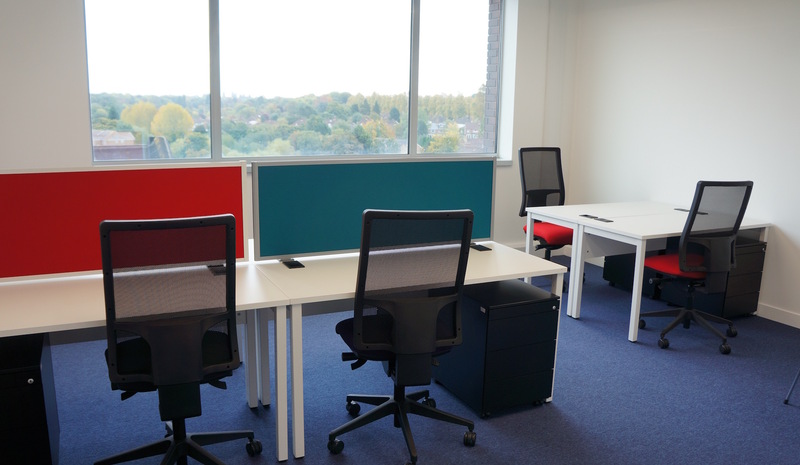 At the Enterprise England Maidstone Enterprise Centre we have a selection of spaces ranging from individual desks in shared collaborative offices, small offices suited to new business start-ups to larger spaces for existing businesses. We can provide either unfurnished or furnished for a small additional monthly charge per workstation. We include the support of our local centre team to help you along the way and can also provide additional business support services, training, workshops along with no long-lasting agreements like some commercial office providers, meaning you can protect your vital cash flow. Our flexible agreements include utilities, service charge, wifi, business rates (for qualifying start-ups and 3rd Sector organisations), free support & advice, meeting room use and much more! We have offices available for immediate occupation. Call us or email via the link below to find out more. Please note that offices are subject to availability. Like to know more? Call us on 01622 808781 or click the button to email! Enterprise England on its behalf and for the sellers or lessors of this property whose agents they are, give notice that: (i) The Particulars are set out as a general outline only for the guidance of intending purchasers or lessees, and do not constitute, nor constitute part of, an offer or contract; (ii) All descriptions, dimensions, references to condition and necessary permissions for use and occupation, and other details are given in good faith and are believed to be correct, but any intending purchasers or tenants should not rely on them as statements or representations of face, but must satisfy themselves by inspection or otherwise as to the correctness of each of them; (iii) No person employed by Enterprise England has any authority to make or give and representation or warranty in relation to this property. Unless otherwise stated prices and rents quoted are exclusive of VAT. The date of this publication is February 2017.